On Tuesday, April 16, 2019, we’ll have our regular monthly meeting at Burp Castle at 7:30 P.M. We’ll be joined by Lauren and Joe Grimm of Grimm Artisinal Ales (https://grimmales.com/). Come on by to join and enjoy! We’ll also have a Steering Committee meeting at 7:00 P.M. at Standings next door so come on over and join if you’d like to help with planning and club events. The NYC Homebrewers Guild will hold its thirteenth annual homebrew competition on February 8th and 9th, 2019, at one of New York’s finest craft breweries, Finback Brewery (78-01 77th Ave., Ridgewood, NY 11385). This is an AHA/BJCP Sanctioned event. All entrants will receive score sheets and commentary prepared by judges recognized by the BJCP. Winners will be announced upon completion of the competition at the brewery. All entrants and friends thereof are welcome to attend the ceremony. We intend to judge first flights on Friday night, February 8th and complete Best of Show judging by 6pm on Saturday, making way for an Award Ceremony and Party at Finback through the evening. The party and celebration will be open to the public. It is at the award ceremony that we will announce all winners, including the Best of Show and Brewer’s Choice, as well as our two additional awards year, making a return for the second year, the Most Brewingest Brewer Award, which will be decided by a cumulative point total for entries placed, and the Big Apple Award for the best cider, proudly presented by Descendant Cider Co.
Best of Show 1st Place: $250 in gift cards courtesy of Bitter & Esters, local breweries and bars, and others, the coveted Best of Show title belt, plus additional prizes! Best of Show 2nd Place, & Best of Show Third Place: Gift Certificates to local homebrew shops, bars and breweries plus additional prizes. Most Brewingest Brewer Award: Making its return for the second year, an award based on cumulative points for placing with multiple entries. Points will be awarded for each entry you place in a category/subcategory–4 points for 1st, 3 points for 2nd, 2 points for 3rd and 1 point for Honorable Mention. The brewer with the most overall points will be awarded the Most Brewingest Brewer Award, which will include a hand-crafted trophy, Gift Certificates to local homebrew shops, bars and breweries, plus additional prizes to be determined. 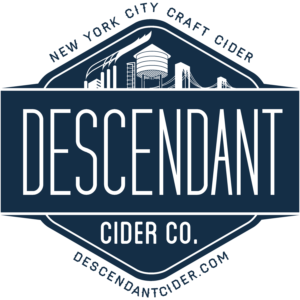 Big Apple Award: Also returning this year, Descendant Cider Co. proudly presents the Big Apple Award for the best cider. 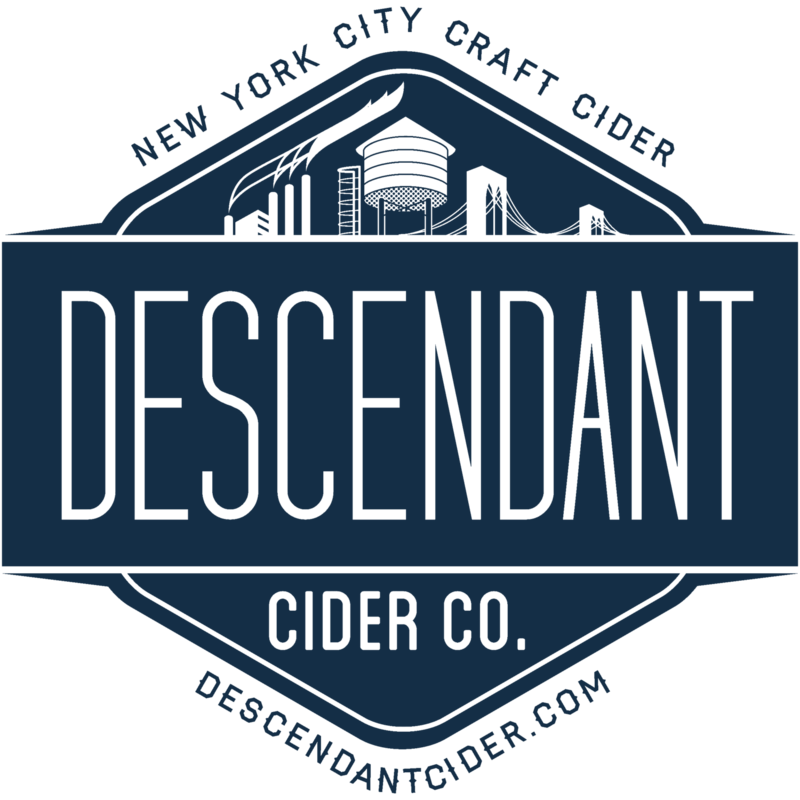 Descendant, in conjunction with a panel of Best of Show judges, will determine which cider entry prevails and receives the Big Apple Award trophy, along with winning some sweet juice from Descendant Cider and additional prizes to be determined. Brew a batch of your winning recipe at Fifth Hammer Brewing Company . Additional prizes may be allocated at the discretion of the competition organizers. This award is chosen and presented by NYCHG President Emeritus, Chris Cuzme, and the awardee will be invited to brew a full batch of their award winning beer at Fifth Hammer’s facility in Long Island City, Queens. Eligibility: This competition is open to everyone. Entries must have been made at home. Those made in commercial establishments, including brew on premise establishments, are not eligible. Read the full competition rules before entering your beers to ensure that your entries are properly submitted. Entries can be mailed in or dropped off at a variety of locations in Brooklyn, Queens, Westchester and New Jersey. Entries should be dropped off or shipped to arrive by January 26, 2019, or else they will not be entered in our contest. If you are shipping your entries, do not use the United States Postal Service, USPS entries will not ship to this address – if you must ship your entries, use a private shipping service. Please note that judges will not be allowed to bring entries on the day of the competition! Click here to enter your beers or to sign up to judge the competition. Please also visit our wonderful sponsors. As a reminder, our annual Holiday Soiree will be held at Keg & Lantern Brewing Company on December 18, 2018 at 7:30 P.M. (don’t go to Burp Castle that night). Also, please show up even if you haven’t been around lately, as we’d love to catch up. We will be collecting dues good for 2019 anytime starting now, so you can pay up at the party if you’d like. As an important note, starting on January 1, 2019, as we are now 30 years old, dues will now be $30 for new members and $25 for renewing members. So, we encourage you to pay now or at the party or anytime before the end of this year for next year so you can get the current rate of $25 for new members and $20 for renewals. As always, there will be a steering committee meeting beforehand at Standings at 7:00. We hope you can join if you are interested in helping out for the upcoming Homebrew Alley XIII, which will be held the weekend of February 8 and 9, 2019, as we will need people to assist in planning and of course will need volunteers to help with the cellar, stewarding and judging. We’re happy to announce that this year’s annual Guild Holiday Soiree will be held at Keg & Lantern Brewing Company. As usual, the party will be held on the date of the regularly scheduled December monthly meeting, December 18, 2018, at 7:30 P.M. (DON’T GO TO BURP CASTLE THAT NIGHT, WE WON’T BE THERE!) As always, it will be potluck style the same way we’ve always done it in the past. Bring a food item to share (preferably homemade) and bring some homebrew to help everyone celebrate the conclusion of our 30th year and kick off an exciting 31st. I expect Jeff will also have some fantastic beers on draft for us to try! Don’t feel like you can’t show up to the party if you haven’t been around lately, as we’d still love to see you, though we ask that if you come, either be current on your dues or we’ll happily collect dues that will be good for all of next year! Just a quick reminder that next week on October 16, 2018, we have our regular monthly meeting where we will be announcing the slate of candidates for next year’s officers. Voting will be held in November. Also, we will be joined by Chris McClellan, Senior Ambassador for Guinness Brewery! 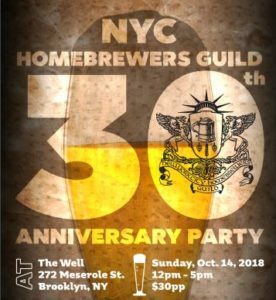 On Sunday, October 14, 2018, from 12 P.M. to 5 P.M., we have our 30th Anniversary Party at The Well in Brooklyn. Make sure to get tickets now for $30 as they will likely be priced slightly higher at the door ($35). Also, we expect to have at least 30 (plus) Beers for 30 Years, so there should be plenty to go around. These will include some special beers from our alumni brewers at Fifth Hammer, KCBC, Brooklyn Brewery, Two Roads, Descendant Cider, Yonkers Brewing, Little Fish and more. 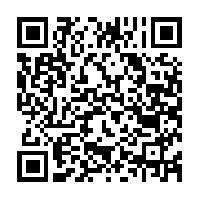 Please tell your friends, post the ticket link on your social media (bit.ly/nychg30 ) and let’s have a great time! As a reminder, the L train is not running next weekend but their are shuttle buses running and you can always take an Uber/Lyft! When: October 14, 2018, Noon – 5 P.M. Cheers! It’s our 30th Anniversary!! That’s right, the Guild has been around for 30 years. And to celebrate, we’re throwing a 30th Anniversary bash on October 14, 2018, at The Well in Brooklyn. We’re super excited to be celebrating 30 years this year so we’re going to brew as much beer as we can and invite all our friends to come drink it! We’ll also be featuring some very special guest beers from our friends and alumni at breweries from New York and all across the country! We’ve got a great list of brewers who are super excited to be involved so it should be a great time. But, we need your help! In order to get a bunch of great beer to serve, we’d like you to brew for the party so we can get your beer served to the masses. We also want you and all your friends to come out and enjoy the fun. If you can/want to brew, sign up at this link: https://docs.google.com/spreadsheets/d/1-LhTNxDVRxy4ubmcD2x8R-EzPMi8OXGNipn0-W1wtfw/edit#gid=0 We’d love to get a huge number of beers pouring at this event so think big! For tickets, please see the info below. Tickets include unlimited sample pours and a 30th Anniversary glass for $30. Hope to see you there! How: Go to this ticket site and get tickets! And tell all your friends, and their friends, and people you meet on the street or at the bar! Draught 55 is proud to announce we are hosting The Manhattan Homebrew Cup for the second year in a row. In September of 2017 The Manhattan Homebrew Cup was created to bring together the homebrewers and beer enthusiasts of Manhattan and the surrounding boroughs in an effort to encourage creativity with friendly competition. The competition was a great success thanks all our judges and volunteers. We are happy to announce we have decided to host the competition again this coming Fall. The winner of the 2018 Manhattan Homebrew Cup will have the honor of having their beer brewed by Five Boroughs Brewing Company. This means that the winner will have their beer available on tap in Draught 55 and in the Five Boroughs Brewery Taproom. An incredible achievement for any homebrewer. Two 12oz glass bottles per entry will be accepted. BJCP 2015 Style Guidelines will be used for Judging.